Fire up the grill, put on your white pants and celebrate outside with friends and family—right after reading these three quick cancer prevention tips. If you’re like many Americans, your skin probably hasn’t seen the light of day since Labor Day 2017, so you need extra protection. Grab your hat and sunglasses, and slather on your sunscreen before spending a full day outside today. 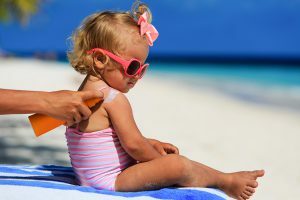 It’s worth taking an extra few minutes if it means potentially preventing skin cancer. When meat is cooked on high heat, it can form carcinogens So, when you’re grilling your favorite Summer picnic food, try to cook your meat on low temperatures, and don’t overcook it. Also, try to avoid preserved meat, such as hotdogs, as these can emit cancer-causing compounds. Cancer prevention is about living a balanced, healthy lifestyle. This means enjoying physical activity, engaging in your community, reducing stress and having fun with family and friends! Today, remember to celebrate. Laugh. Play. Enjoy yourself. At the National Foundation for Cancer Research, days like today are why we do what do. We are committed to funding breakthrough discoveries in cancer research so that someday every human being can live a full life that is cancer-free.